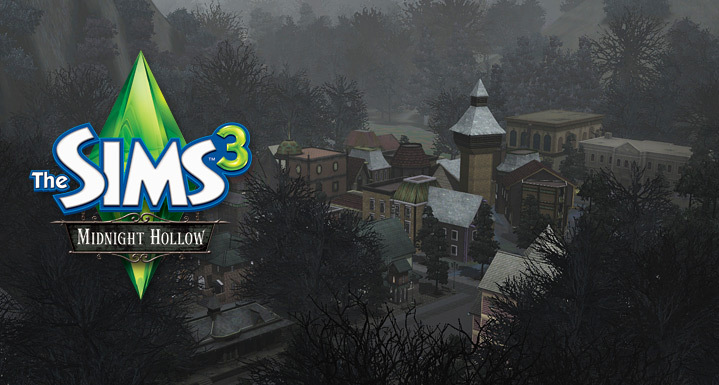 The Gold Edition of The Sims™ 3 Midnight Hollow combines the Midnight Hollow World and The Golden Ticket Toy Shop Venue. 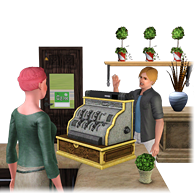 The standard edition of The Sims™ 3 Midnight Hollow including the Savvy Seller's Collection gameplay objects, new items, new locations, and new Sims with brand new stories! 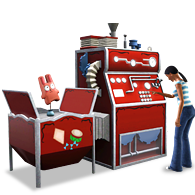 The Golden Ticket Toy Shop venue featuring the Titanic Toy Machine gameplay object, plus exciting new items! 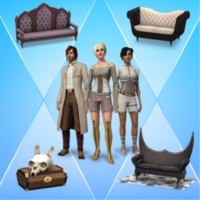 All New Midnight Hollow Items! 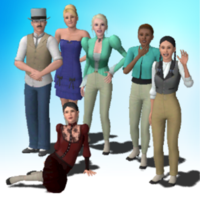 It's Rarely Sunny in Midnight Hollow! Are you sick of feeling out of place? Sick of feeling bad that there's no one around like you? Sick of those smiling neighbors telling you to enjoy the "sunset" in the "valley?" Then come to Midnight Hollow where it's good to be one of a kind! Life is hard and people will always have something to say about you. "All of her husbands die mysteriously and suddenly" or "I think her son was fathered by the grim reaper" or "I'm pretty sure she's a murderer" ...Where do they come up with this stuff?? I moved here to get away from the "normal" life to find a life that's normal for me. Let them have their "starlights" and "shores," I'll take my century-old victorian mansion, eerie landscape and interesting neightbors every time. Here's hoping you're next! - I meant being my new neighbor; not the whole murder thing FYI. See you at Midnight Hollow! 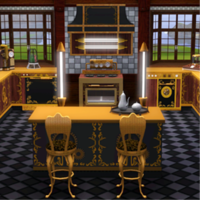 Complement your Midnight Hollow experience with these amazing sets.